"This is a re-run of the recent Wisconsin battle over a climate change bill that was hijacked by the nuclear industry," said Bill Christofferson of WNPJ's Carbon Free Nuclear Free campaign. "But the stakes are even higher in this bill." Wisconsin groups signing a statement by the Nuclear Information and Resource Service included: John LaForge, Nukewatch; Guy Wolf, Coulee Region Progressives; Gail Vaugh, DownRiver Alliance; Irene Mehlos, Merrill Peace Study; Christopher LaForge, Great Northern Solar; Northern Futures Foundation of Port Wing; Kickapoo Peace Circle, of Viroqua; and Al Gedicks, Wisconsin Resources Protection Council. *provide $54 billion in taxpayer “loan guarantees” for construction of new nuclear reactors. These “loan guarantees” would actually be direct taxpayer loans from the government’s Federal Financing Bank. It would also provide a 10% tax break to wealthy utilities for nuclear construction costs. *create a “Clean Energy Deployment Administration” (CEDA) with the authority to provide unlimited taxpayer loans for new reactor construction without Congressional oversight. *support dirty and dangerous reprocessing technologies, authorize billions of dollars in nuclear research and development, and legislatively attempt to speed the nuclear reactor licensing process despite a recent report from the Bipartisan Policy Center that found the industry is primarily to blame for the slow pace of licensing. *continue to support offshore oil drilling near much of the U.S. coastline despite the calamitous BP oil spill. *provide $10 billion for wasteful and impossible “clean coal” development. Tell your Senators to oppose the Kerry-Lieberman dirty energy bill here. On this fortieth anniversary of Earth Day, we have something to celebrate -- Wisconsin's safeguards on new nuclear reactors remain intact! The state Senate adjourned for the session without voting on the Clean Energy Jobs Act (Senate Bill 450 / Assembly Bill 649). That means the bill is dead. This is a bittersweet victory. We would have preferred that the state legislature pass a climate bill strong on renewables and energy efficiency that didn't undermine our nuclear safeguards. Unfortunately, that wasn't what was under consideration. But, thanks to your activism, we sent a strong message -- nuclear isn't clean energy and isn't the answer to global warming! We've laid the groundwork for a truly green, carbon free and nuclear free state energy policy. Thank you for your calls, emails, petition signatures, lobby day visits, letters to the editor and other ways -- large and small -- that you and others across the state took action. Together, we made a difference. You can read our coalition's statement on these events, below. The nuclear industry lobby is sure try again, but we'll be ready. We do want to recognize and thank four state legislators who raised important issues about nuclear power. 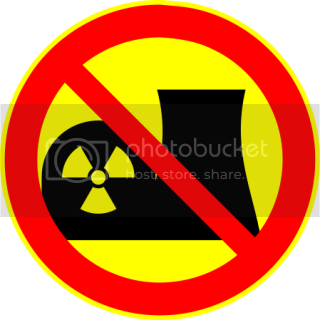 Representative Jon Richards of Milwaukee, along with Representatives Joe Parisi of Madison, Cory Mason of Racine and Fred Kessler of Milwaukee sponsored an amendment (PDF) to the Clean Energy Jobs Act that would have banned construction work in progress (CWIP) for nuclear reactors. CWIP is a costly but common financing method whereby utilities building nuclear reactors can start charging their customers for the reactor years -- or even decades -- before it produces any electricity. And if no electricity is ever produced, customers don't get their money back. Given the pro-nuclear provisions and many compromises in the final version of the Clean Energy Jobs Act (AB649 / SB450), we are relieved that the bill did not pass the state legislature. While the bill had great promise – and still contained some good measures – we are better off without this version of CEJA on this 40th anniversary of Earth Day. We look forward to working with legislators to pass strong renewable energy, energy efficiency and smart transportation policies in future sessions. Taking up these important issues in several smaller bills will allow for a more informed and open debate on each, while making the special interest horse-trading that plagued CEJA more difficult. We urge legislators to heed the strong public support for Wisconsin’s existing safeguards on new nuclear reactors. For decades, Wisconsin law has protected ratepayers from the sky-high costs of nuclear reactors and protected communities from the risks of more high-level radioactive waste stockpiles. Over the past year, people from across the state have repeatedly voiced their opposition to nuclear power, in public hearings, local listening sessions and other contacts with legislators. Nuclear isn’t clean energy, and building new reactors won’t help Wisconsin address climate change. In fact, opening the door to new nuclear reactors here would distract from real solutions. The massive investment required to build nuclear reactors would take resources away from renewables and energy efficiency efforts. New nuclear reactors would also retard our much-needed transition away from massive, centralized power sources to a smarter and more distributed energy grid. Wisconsin can and should build an energy future that’s carbon free and nuclear free. Our coalition will continue to work toward that goal.